DALLAS, United States of America, MoneyGram (NASDAQ: MGI, a global provider of innovative money transfer services, and Econet Wireless, the leading mobile operator in Zimbabwe, today announced the launch of a new service that enables customers from more than 200 countries and territories worldwide to transfer funds via EcoCash, Zimbabwe’s leading mobile money transfer solution. MoneyGram’s services at more than 20,000 EcoCash locations across Zimbabwe, or at any one of MoneyGram’s agent locations worldwide. EcoCash is the second fastest growing mobile money solution in Africa. “We have a strong presence in Zimbabwe’s digital environment and we are excited to link up with MoneyGram to utilize the company’s global footprint and bring more options to our consumers,” says Douglas Mboweni, CEO of Econet Wireless. “In-wallet remittances are becoming more topical, not only in driving access to international remittances for the previously unbanked but also driving further financial inclusion as we link the diaspora and home. 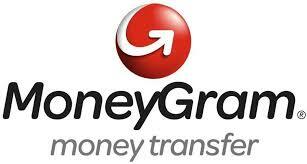 By working with MoneyGram, we will help reach more consumers who rely on our domestic and international remittance services to handle their daily financial needs.” Consumers have access to MoneyGram in more than 50 African countries, and the company is working to support economic development across the continent through expanded alternative channels like the EcoCash service.